Cyclonic engine enhances serviceability, performance, and engine life. 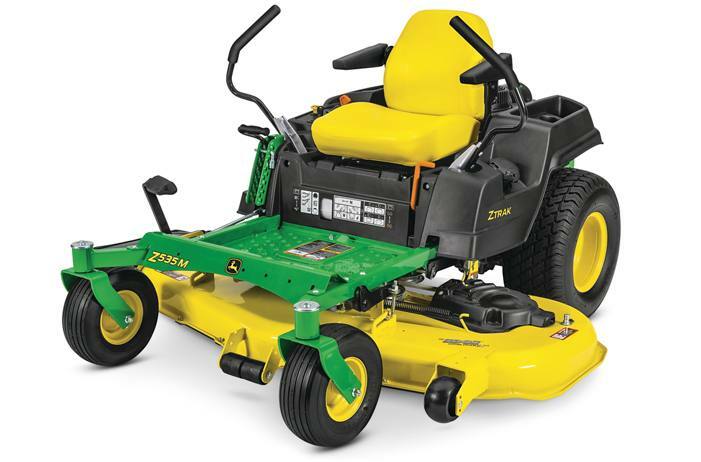 The ZTrak™ Z535M has a 724-cc, 25-hp* (18.6-kW) cyclonic engine that provides plenty of power and torque to handle the toughest mulching, mowing, and bagging conditions. The cyclonic air-management system removes larger particles of dirt before they reach the air filter for reduced filter maintenance and longer engine life. The Z535M is also equipped with a 48-in. or 54-in. Accel Deep™ Mower Deck that can side discharge, mulch, or collect with a 6.5-bu Power Flow™ Rear Bagger, or a 62-in. Edge™ Cutting System that can side discharge or mulch.